Today, I had the opportunity to present FinderBase to a couple of professional investors. Much of our talk was around the business potential of our service. People tend to over-complicate the talk about money. I will argue that there is only one right way to talk about money. It is not the way of worshiping the money. You shouldn’t respect big numbers more than small ones. It is neither the way of disrespect. You should respect the people with money just like you respect anybody else. The right way is the neutral way. Money is just money. Numbers on the bank. So we opened the discussion with the obvious. I said our company is worth 1,8 M€. Considering that FinderBase.com has only had a handful of paying customers and has less than 300 registered users, the price might sound a bit extreme. But they listened to what I had to say. They had good suggestions on what we’d need to do next, most of which we already had executed. They asked whether we allowed bigger investments from a single party and I told them that was negotiable. This is the way I’d like investor meetings to go. Neutral about money. Passionate about business. This entry was posted in Daily entries and tagged finderbase, funding, investment, money, seed funding, venture capital. Bookmark the permalink. Mullakin on ollut kiire uuden firman rahoituskierroksen järjestämisessä. Meillä ei oteta suuria summia sisään yhdeltä sijoittajalta, max=20k. Vähän erilainen bisnesfilosofia. 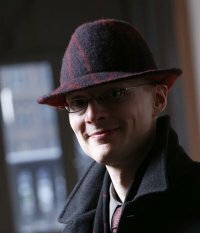 Ekaan kierrokseen lähtee 16 partneria. Olen myös itse sitä mieltä, että monta pientä sijoittajaa on usein parempi kuin yksi iso. Pieniltä sijoittajilta ei tarvitse odottaa mitään. Suuremmalla sijoittajalla taas tuntuu olevan luonnostaan tarve vaikuttaa yrityksen toimintaan. Parhaimmillaan tämä on yritykselle siunaus, huonoimmillaan kirous. Pieniltä sijoittajilta saa odottaa hyödyllistä kontribuutiota “Something given or offered that adds to a larger whole”. Suursijoittajat haluavat kontrollia “To exercise influence over, to suggest or dictate the behavior of”. Mielestäni valinta ei ole vaikea.